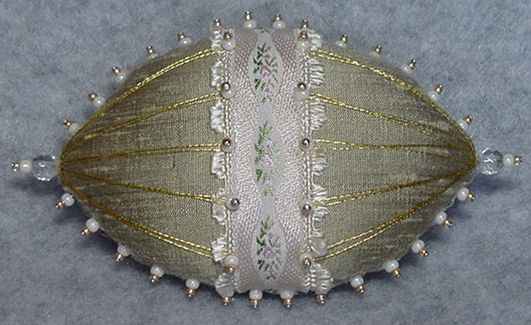 This kit contains a lemony silk dupioni and creamy scalloped embroidered ribbon. Beads included are bright gold and cream seed beads, as well as crystal czech cut beads. Finished in bright yellow gold threadwork.